The IPO comprises fresh issuance of shares worth Rs 500 crore. Emami Cement on Friday filed draft papers with capital markets regulator Sebi to raise Rs 1,000 crore through an initial share sale. 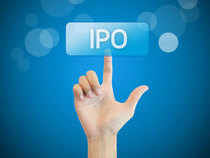 The IPO comprises fresh issuance of shares worth Rs 500 crore, besides, an offer of sale of the same size by the company's existing promoters and shareholders, according to the draft red herring prospectus (DRHP) filed with Sebi. The company said net proceeds raised through the issue will be used for re-payment of certain indebtedness and for other general corporate purposes. IIFL Holdings, Axis Capital, CLSA India, Edelweiss Financial Services and Nomura Financial Advisory and Securities (India) will manage the company's public issue. Emami Cement established an installed manufacturing capacity of 5.60 million metric tonne per annum (MMTPA) in its two years of commercial operations. The company said it currently operates three manufacturing plants and is in the process of setting up another plant, which subject to receipt of necessary approvals, is expected to result in an aggregate installed capacity of 9.30 MMTPA of cement and 3.20 MMTPA of clinker by April 2019.